At Menzies Contracting, we can supply and fit any fence to suit your needs. To learn more about Menzies Contracting's retaining walls, please follow the link below. If you require an obligation free quote, or simply have a question regarding the job you require, please don't hesitate to contact us today. 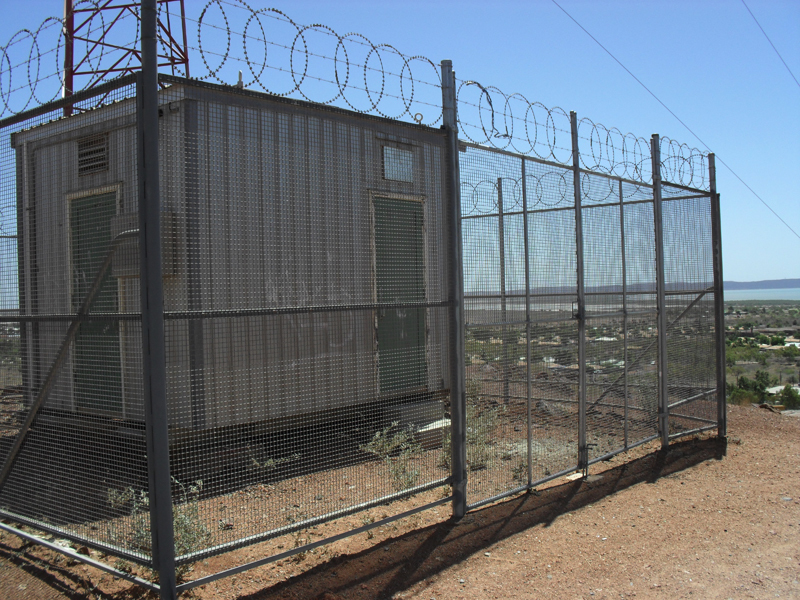 Menzies Contracting are Specialists in the design and installation of Chainmesh Security and Barrier fencing in the North West of Western Australia. Over the past 35 years the company has been operating we have installed hundreds of kilometres of fencing on major projects in the North West. 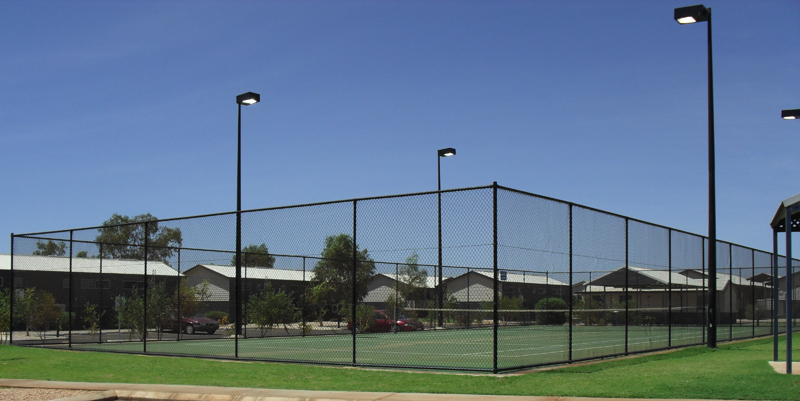 All our Chainmesh fencing materials are manufactured to Australian Standards and a high standard in quality control ensure we supply our clients a quality product. Chainmesh is available in Galvanised, Green or Black PVC Coated finishes. All the Steel posts and rail can be supplied in Galvanised, Green or Black powder coated to match the Chainmesh. 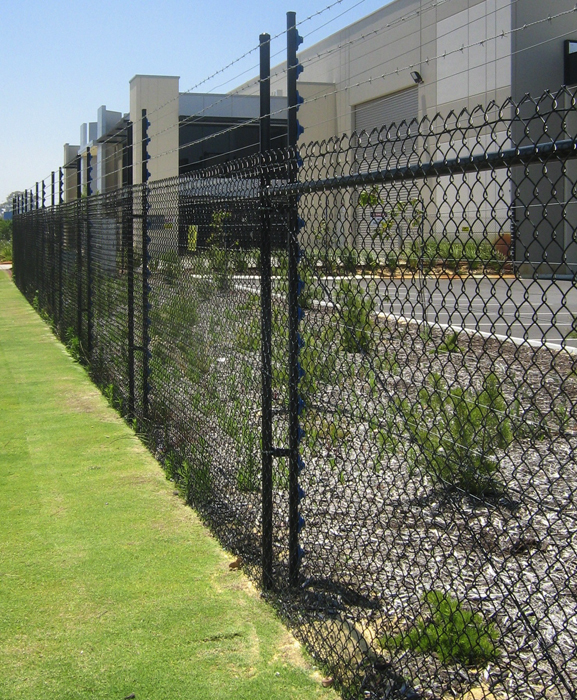 Chainmesh fencing is used extensively as a Security and Perimeter fence with barb wire in the Industrial, Mining and Construction areas , there are other applications for use in Schools, Parks, Railway & Road barrier fencing, Tennis courts, and Cricket Nets. There are also areas where High Security Chainmesh fencing with Razor wire is used such as Prisons, Power Stations & Gas Plants, Airports and Military Installations. 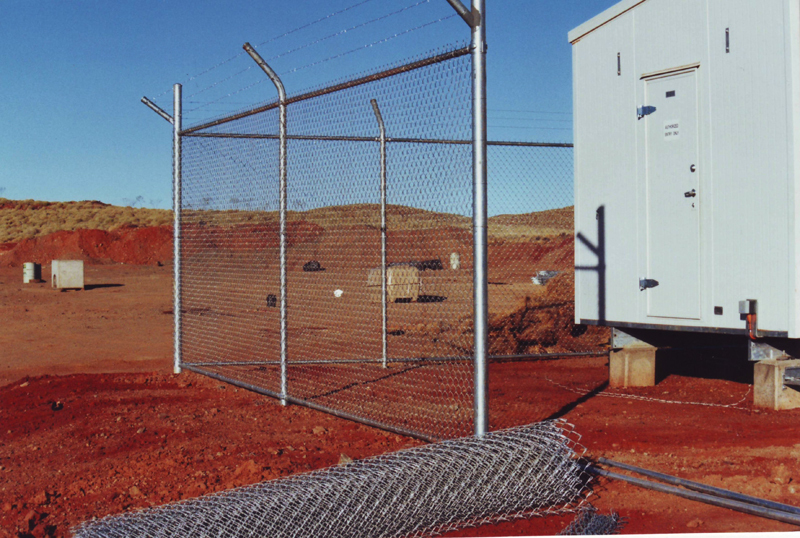 We have teams of Specialist Chainmesh installers in Karratha and Port Hedland that work throughout the North West and are capable of installing Chainmesh fencing in all types of conditions and terrain. Posts & Fitting : Powder Coated to suit.